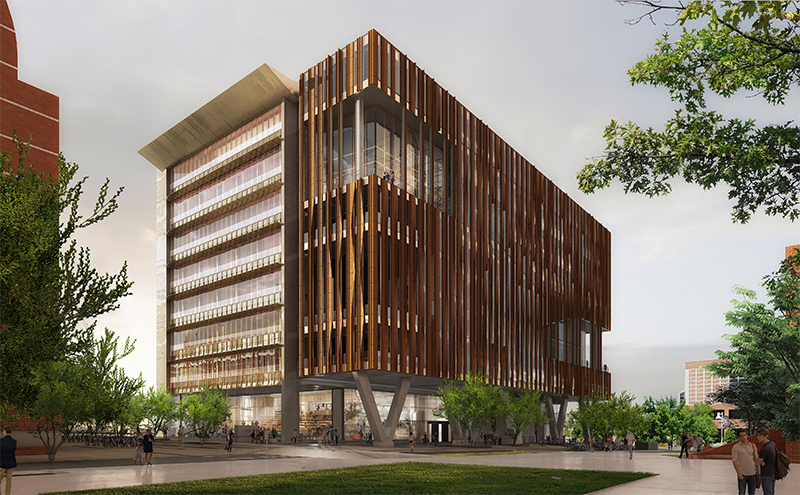 The Health Sciences Innovation Building, seen in this artistic rendering, is scheduled to be completed by January. This illustration shows the exterior of the Honors Village, which will serve as the central hub for the UA Honors College. The project is expected to be completed by next fall. Several campus construction projects will provide new or renovated state-of-the-art facilities for UA programs, with two scheduled to be completed by early 2019. Projects include the new Honors Village and Health Sciences Innovation Building, as well as renovations to Building 90 on the southwest area of campus. Here's a look at each project. 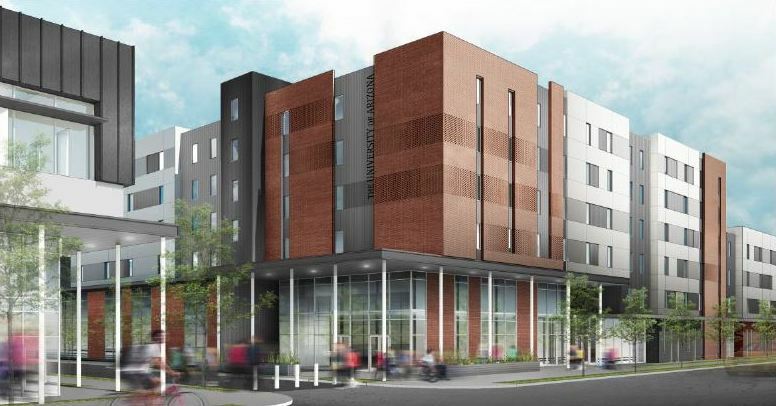 The Honors Village, near the intersection of North Park Avenue and East Drachman Street, will be the central site for the Honors College, combining academic, residential, recreational and dining spaces. Classrooms will be designed for collaborative and interdisciplinary honors coursework, and will feature multimedia equipment and reconfigurable furniture. A recreation center will include workout rooms, basketball courts and space for cardio and wellness classes. An outdoor courtyard will offer spcae for outdoor dining as well as study areas. The Honors Village's integration of a dining facility with a residential facility is a first for the UA campus. The village's residential facilities will accommodate more than 1,000 honors students. The village is expected to be completed by fall 2019. The 220,000-square-foot Health Sciences Innovation Building is under construction at the northeast corner of North Cherry Avenue and East Mabel Street. The state-of-the-art, nine-story building will have instructional spaces, in a variety of sizes, for teams of students, faculty and health professionals in medicine, nursing, pharmacy and public health. The building will also provide clinical labs and areas for simulations. The project is slated for completion by January. Building 90, also known as the Animal and Comparative Biomedical Sciences building, at 1117 E. Lowell St., is undergoing major renovations to repair its antiquated and failing systems. The 52-year-old building, which has been unoccupied, will get new mechanical, plumbing and electrical systems, which have not been updated since the facility opened. The building is nearly 60,000 square feet, most of which is lab space. The work was made possible with funding from the state, approved last fall by the Arizona Legislative Joint Committee on Capital Review. Renovating the building is significantly less expensive than erecting a new facility in its place. The work is expected to be completed by early 2019.